Total Freight Logistics International LLC commenced operations in 1998 under the direction of William Lageman Jr., who has more than 23 years experience in the international freight forwarding/steamship industry. In 2001 Total Freight Logistics International gained full accreditation of as an FMC licensed freight forwarder and NVOCC. As operation grew, U.S. Customs granted Total Freight Logistics International a corporate permit including remote filing permit in any U.S. Customs entry port. In early 2002, Total Freight Logistics International gained a license as an IATA Airfreight forwarder to complete our services to and from any worldwide location. Since 2001, our team of logistics experts has assisted business all over the country with their freight forwarding needs. Thanks to our network of affiliated worldwide offices we can move cargo to and from anywhere in the world, whether it be by container, break bulk, roll on roll off or special project. We can satisfy any shipping need through our sophisticated solutions. In International trade, one size does not fit all that is why we provide a comprehensive list of services including air, ocean freight, consolidation, forwarding, customs clearance, cargo insurance, distribution and other value added logistics services. We take great care in providing solutions to our customers. We do this by taking the time to understand each customer's individual business needs. Total Freight Logistics International can deliver on its promises thanks in part to its affiliation with Global Alliance Corporation. 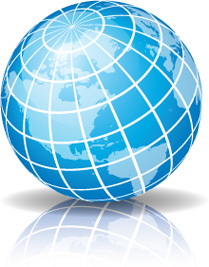 Global Alliance is a sophisticated worldwide network of offices dedicated to the same level of customer service as TFLI. GAC mission is to ensure each and every customer will enjoy an unequalled level of seamless service based on the best shipping industry standards. Formed in 2001, GAC has more than 200 offices in 51 countries worldwide to serve you. As an NVOCC (non-vessel operating common carrier), Global Alliance Corporation trades under the name Global Alliance Line. In addition, Total Freight Logistics International LLC has the ability to ship under the banner of Total Freight Lines, an in-house NVOCC, fully registered to operate in the People's Republic of China and all major worldwide countries. At Total Freight Logistics International, customer service is more than just lip-service: it's what we live by. It is our goal to go beyond our customer's expectations. We do this by giving our clients the peace of mind they deserve. Shipping can be very stressful. Livelihoods depend on on-time delivery. We see every shipment through from start to finish, keeping our customers informed through the entire process. At Total Freight Logistics, our customers get answers.